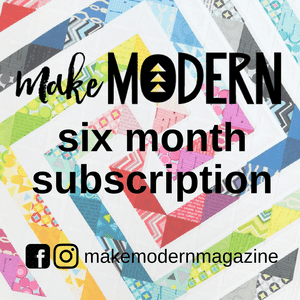 Welcome to a extra post in our Bargello QAL! In case you are just catching up, you can make either the Baby B - finishes at 16'' - or the Queen B - finishes at 36''. We've got terrific prizes available (see sponsor introduction) for three lucky random participants. You've plenty of time to join in - linky party runs from March 28 through April 22. Fabric requirements (Queen B or Baby B) and the first step of the Bargello assembly is available. The final step of the Bargello assembly posts on Monday and will contain the Bargello cutting charts for the Queen B and the Baby B. Before that post, I wanted to do a quick tutorial on how to read the Bargello cutting chart so everyone is ready to go. 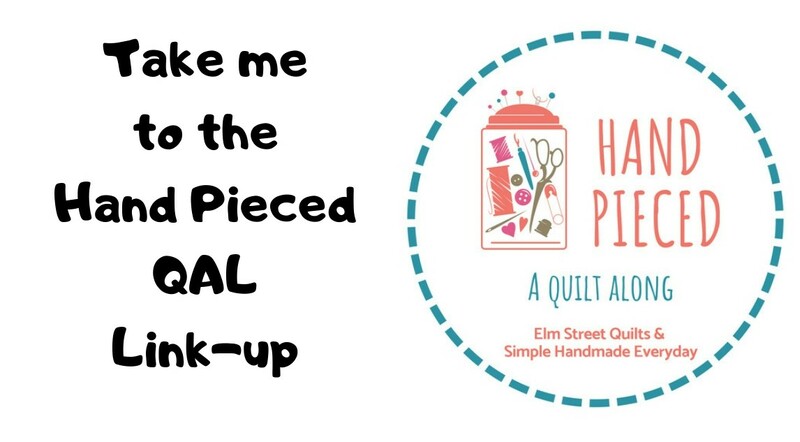 Please ask questions in the comments and consider joining the new Elm Street Quilts QAL Facebook group and share your progress! It is going to be a lot of fun to see how everyone is doing!. To be clear, this is NOT the actual cutting chart for the QAL. Let's learn how to read a bargello cutting chart with this example sample. There are are 7 fabrics - red, yellow, blue, purple, white, white & white. Red is the #1 fabric. Bargello assembly results in tubes of strips, one group has seams pressed towards the #1 fabric and the other group has seams pressed away from #1 fabric. Label one group ODD and one group EVEN. There are two cutting charts - one labeled ODD and one labeled EVEN. The cutting instructions tell you how wide to cut the width of fabric and which fabric is the first fabric for that column. Since we've got several background strips, the table also tells you how many white squares are above your #1 (my red) fabric. Here are columns 1, 3, 5 and 7 from this example sample and the cutting table for the ODD numbered columns. Once you cut your odd columns, your start with a tube (pressed opposite direction) and cut your even fabrics. In my sample example, the only thing that changes is the strip width. Once all your strips are cut and seams separated, you can lay your bargello out on your sewing table and sew together, nesting those seams. Monday's post will feature a printable version of the actual cutting charts for the Queen B and the Baby B along with important tips and some helpful photos. I hope you are having fun - I know I am! I assume that on the sample odd column that has two whites before the #1 fabric that once the strip is cut, pieces #6 and #7 are removed from the bottom and resewn at the top. Great question. The answer is no - you won't need to resew anything! The beauty of this - which you'll see in Monday's post - is by cutting these next set of strip from a fabric tube, is you just use your seam ripper to remove the thread between - for example - #5 and #6 and now #6 is the top fabric. No resewing required at all! Thanks for the great tutorial. 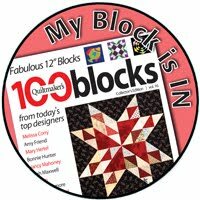 Do you mind if I ask if there are many of us quilting a long? I'm posting on instagram (as jen.barnard) and there only seems to be one other person posting photos. I know there is a facebook group, but I'm not on fb so I can't see it. I just wondered if there was more going on elsewhere. I am doing one called butterfly forest. I have my tubes done.... when I start putting these together, am I putting one strip from odd, them using a strip from even ? Am I to just alternate back and forth from odd to even ?